Nice article in the Inquirer. Keep up the heat! Let us recall nearly 20 years ago in Tredyffrin, a new developer came in with big plans to tear down the famed Valley Forge Music Fair to build a big Giant supermarket which failed/ went dark in less than 2 years, as it wasn’t needed here. While Barnes & Noble survived, the vacant Giant later became a discount Big Lots. Now they too have failed/closed and now a discount Lumber and Tile center will open there next-ugh. Not far away on Swedesford Road, the former Pathmark/ Safeway has been closed for months, and now sits vacant. 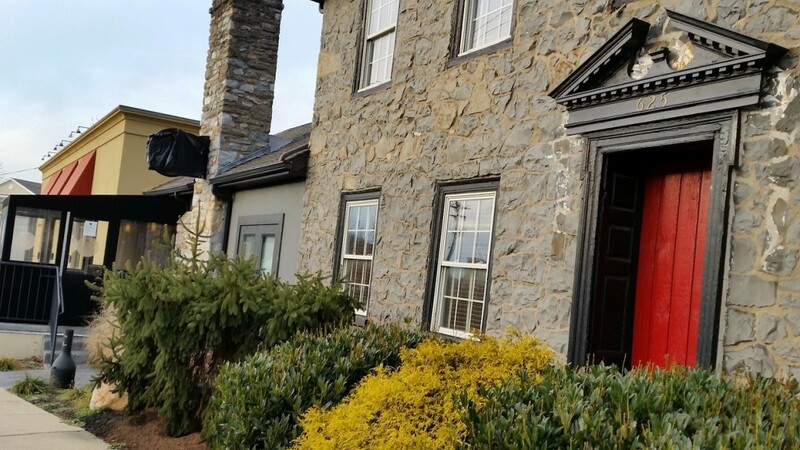 Now CVS and its developer want to tear down an Historic Inn so they can put Rite-Aid out of business nearby on Route 30. All of this is a tragic and musical game of empty retail boxes, with pharmacies being next in line to fail. We don’t need another mega-pharmacy on Route 30 in Tredyffrin, and no one who lives nearby wants to see it go forward. I’ve been told the developer will do the right thing, so let’s see them shrink the mega-CVS, nix the drive-in and save the Covered Wagon Inn. Thanks Dave. I hadn’t heard about the new tenant in the Big Lots store, a discount lumber and tile center? I’m curious, do you know the name? Pattye, thank you for your efforts, and best of luck with the meeting. Please speak for all of us in expressing our frustration with this plan and our desire to preserve what is special about our area. A petition has limited power, and the rules are the rules, but the developers and CVS would be wise to pay attention to the over 3,000 local consumers who are on your side. If not, we have plenty of other places to buy band-aids. No. I just the Coming-Soon! signs posted onsite recently. Why , why is there no Preservation Ordinance in Tredyffrin? What is the process to establish an Ordinance so our historic properties are not destroyed? And look! Not even in yet, and they are applying for a variance! ; and such further relief as necessary. Im curious. would the citizens speaking here on the thread want the township to buy the building and rent it out maybe to Moser? do the citizens on this thread want to band together privately and buy this building? Even if an ordinance was to win the day, this property would have to be grandfathered in..
By the way, that new house on Pugh road is ugly… with imagination and proper application of funds they may have been able to restore the original as neighbors down the street did previously… just sayin…. The land development plan of the Covered Wagon Inn by CVS/Summit is grandfathered regardless if there is a future historic preservation ordinance in the township or not. CVS/Summit is not purchasing the property from John Hoopes, the owner. Hoopes is retaining ownership of the entire parcel, including the Covered Wagon Inn. The property is not for sale — the Covered Wagon Inn is not for sale. Neither the township nor residents may purchase the Covered Wagon Inn, it is not for sale as the property will be leased.